Email Database of Small Business Owners & Proprietors is an Email List of People running Small Business and Proprietor or Proprietor of their Business. Details: Email Database of Small Business Owners & Proprietors is an Email List of People running Small Business and Proprietor or Proprietor of their Business. Fields Mentioned: Business Name, Owners’ Name, Email id, Designation , Business profile, Business Category, Phone, Address, Location etc (Check Samples for details). Why to Use this data: It will help you to reach the Decision Makers and your Exact Target audience directly. 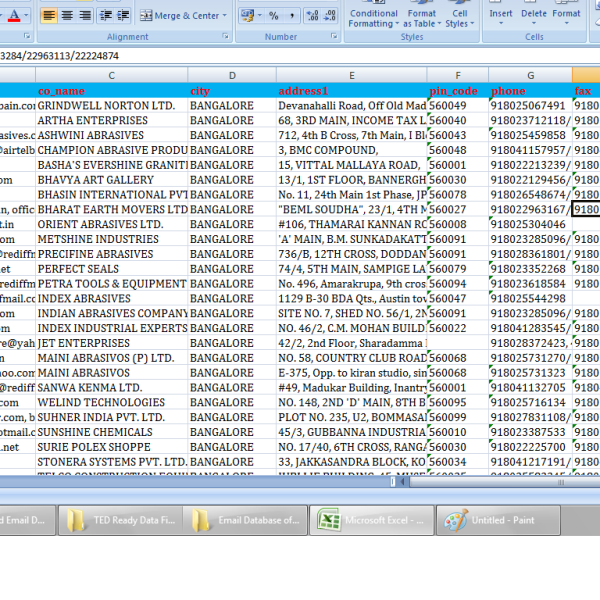 i cleaned the data & removed the bounced ids after 1st time email sending..then it worked really well..good result. 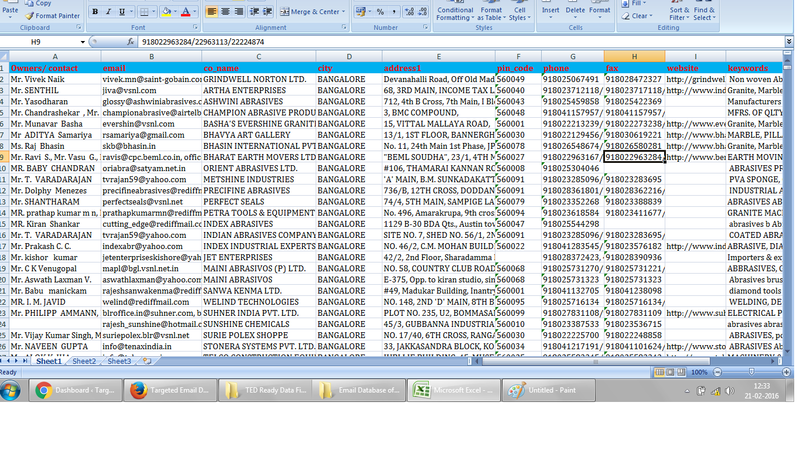 number of leads we get from this data is really good considering the price.